I’ve often complained about Doctor Who taking itself too far to the edge of being “a kiddy show”, a ridiculous body count and deus ex machina type endings but Season 5 started to pull itself out of that with two parter with the Silurians and ending with the Pandorica Opens and The Big Bang. Several long running plot threads began to take the forefront: River Song’s past and future with the Doctor being one of them along with the fact the Doctor bouncing around time and space like a ping pong ball. 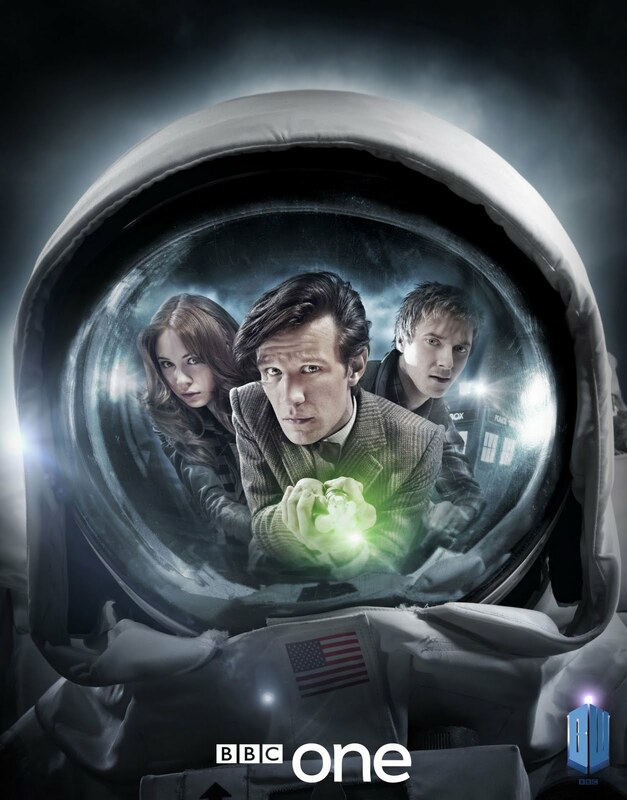 The Impossible Astronaut continues to play with themes Steven Moffat toyed with in the Doctor-lite episode of Season Three called “Blink.” Where the Doctor on several easter egg DVDs helped two people get his TARDIS back from the now infamous Weeping Angels. Moffat doesn’t repeat himself and so we have several scenes you would think would never see. And that’s what makes this episode shine, the first ten minutes filmed Utah are gorgeous, breathtaking and a suckerpunch to the gut. The plot is rather simple and yet not. Rory and Amy have settled down and reading through tomes of history looking for the Doctor as he bounces about playing the Time Lords version of Where’s Waldo. Until one day: Rory, Amy and River Song (still in her storm cage) get a blue envelope in the mail to meet in Utah. Meanwhile someone is crank calling President Nixon and unlike using last season’s old stand by of: call the Doctor. The Doctor and Co. arrives. It’s at this point where things get a little hazy for me. One of my other nagging problems ever since Doctor Who restarted was the fact UNIT gets the short end of the stick. I bring this up since isn’t The Doctor still attached to UNIT in the 60’s? So, wouldn’t the President be briefed on all this or are we glazing over UNIT? Several scenes stand out because Rory actually gets billing in this episode! Ha za! And, characters actually get to talk to each other instead of running around being chased and the Doctor saving the day. It’s refreshing actually to have a slow pot boiler of an episode. It being a two part pot boiler is a welcome relief. The banter between the Doctor and River that appeared during the Weeping Angels two parter appears again and it’s one of the highlights of this episode. The interaction between the characters overall in this episode was enjoyable since everyone has grown since last season in more ways than one. The SFX in this episode were minimal and when they did appear they looked good so hopefully the budget is back where it belongs. The hide behind your couch villains take the icon gray alien and add enough things to it to make it appear more ominous and that’s not so bad unless you find one on the ladies room of the White House. Great episode overall, I thought.